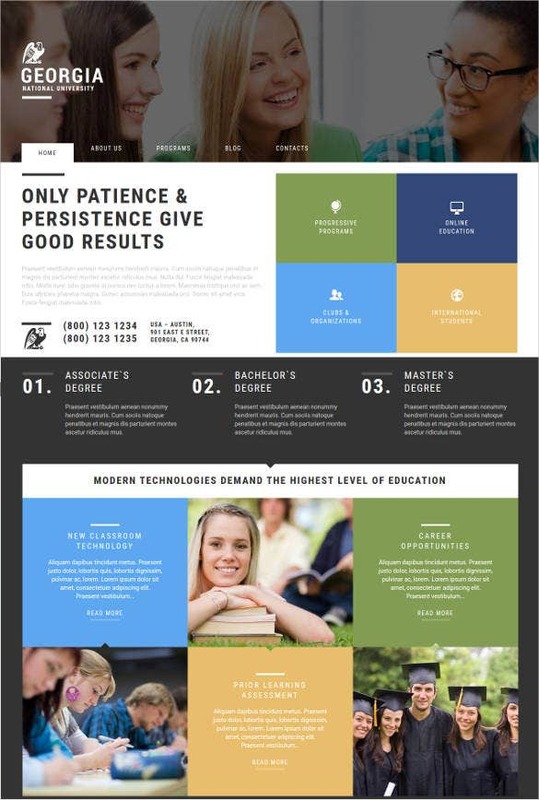 Education Bootstrap themes and templates are high on usability. They are built on the latest Bootstrap version 3.3x. 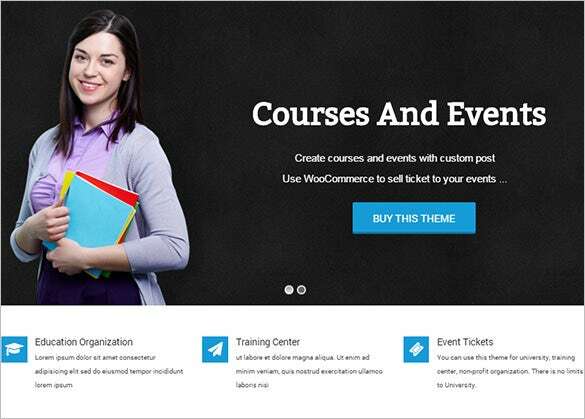 These themes are responsive and retina-enabled with cross browser compatibility. 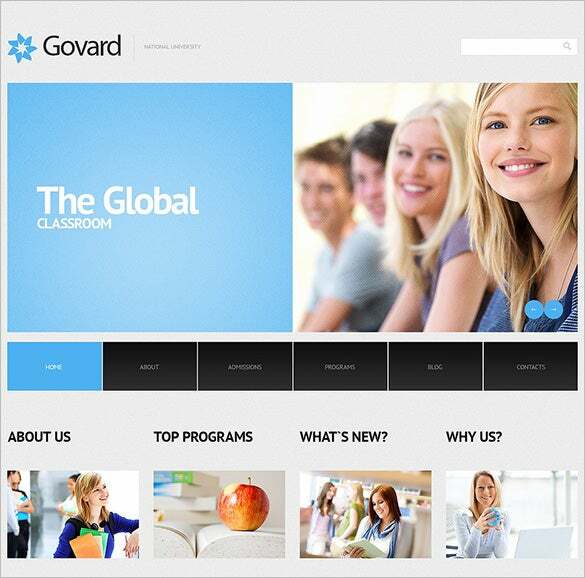 They are specially designed for educational sites. 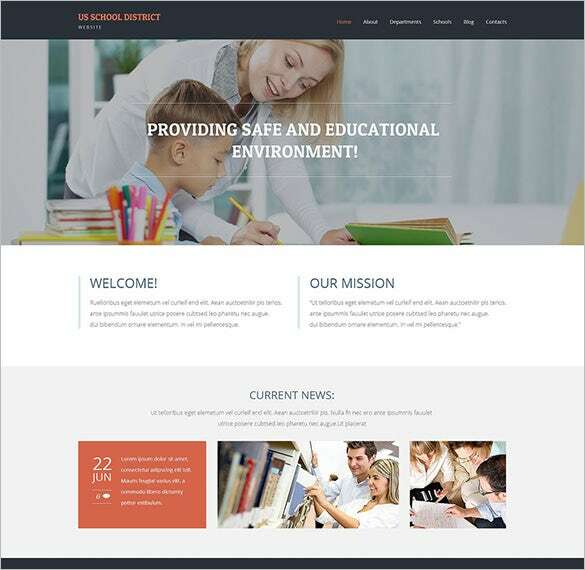 Features like Flex slider, Bootstrap carousels, Google maps, Bootstrap icons, among others go a long way in giving your educational website Template a much needed modern and premium feel. 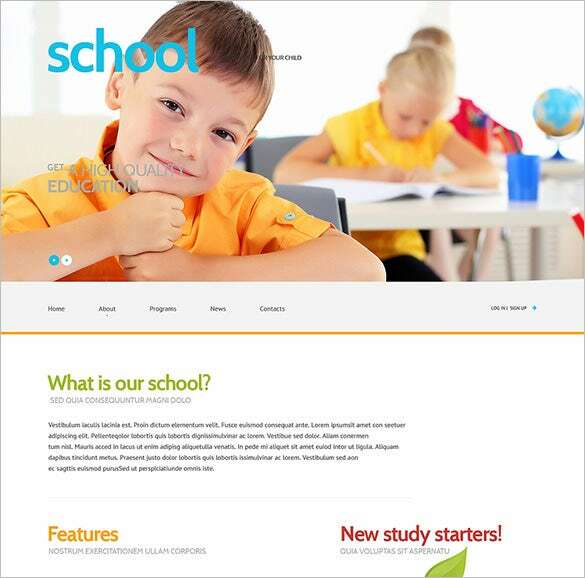 You can also see Education Blog Themes. 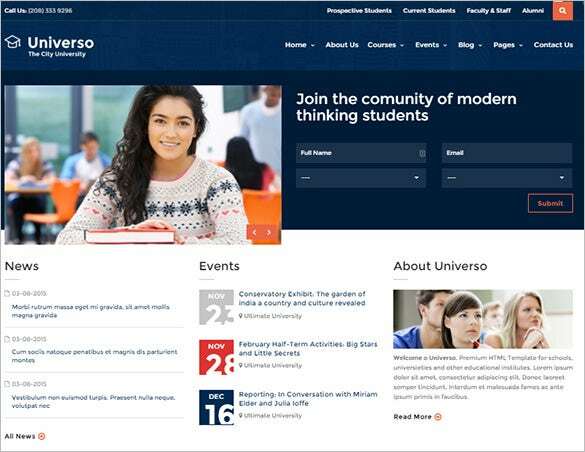 For creating a well documented and comprehensive website, the University Responsive Bootstrap Template is perfect which also offers a fully responsive and friendly layout along with numerous variations in Google fonts and colours. 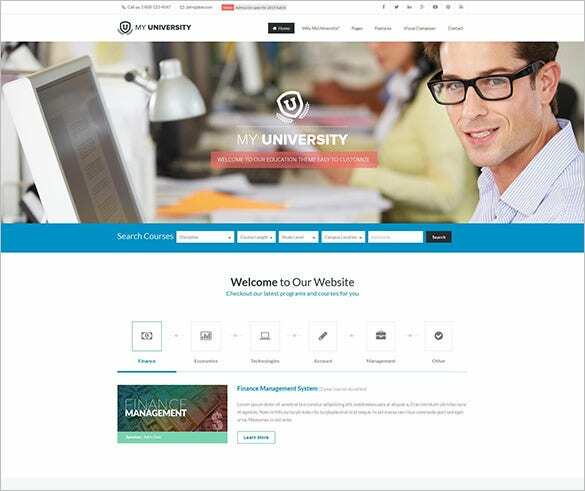 With notable features like awesome fonts, less file inclusion, Bootstrap based frameworks, easy management tools, demo content, and numerous colours and image schemes; the Flat University Education Bootstrap Theme is loved by all web designers. 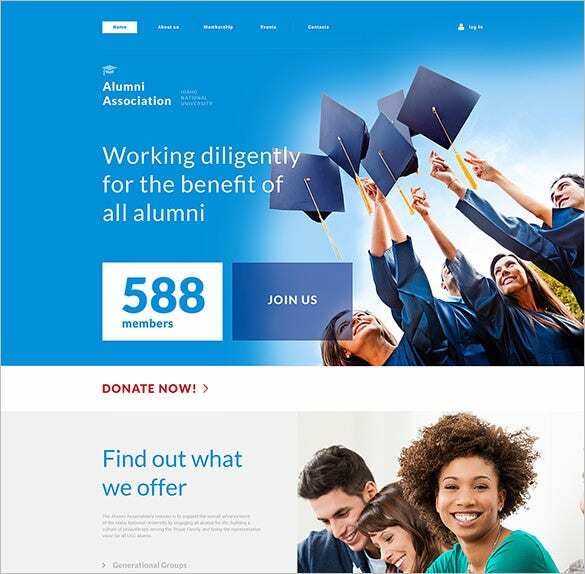 Built on the latest Bootstrap version 3.3x, the Education PHP Bootstrap Theme For College has retina-enabled display pictures with Flex slider, Bootstrap carousels, Google maps, Google translator and search options and much more. 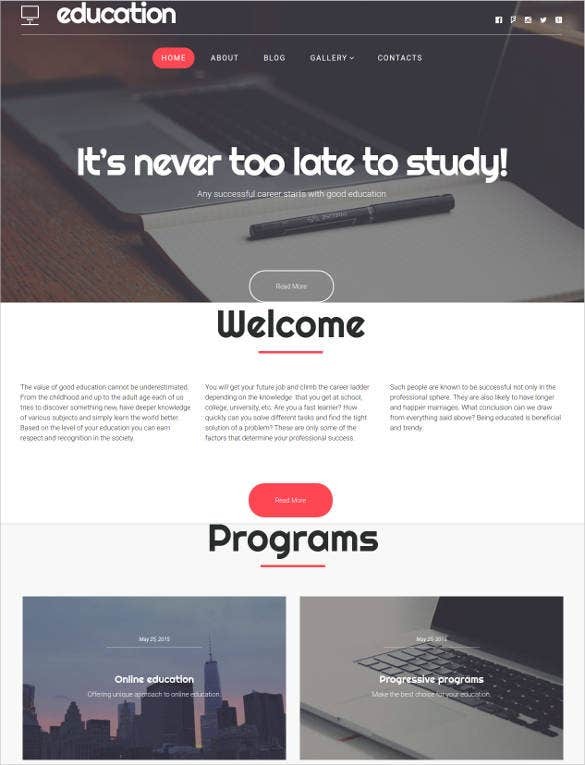 If you want to create some online courses, galleries, events and team pages for your institute, then this is the ideal template. 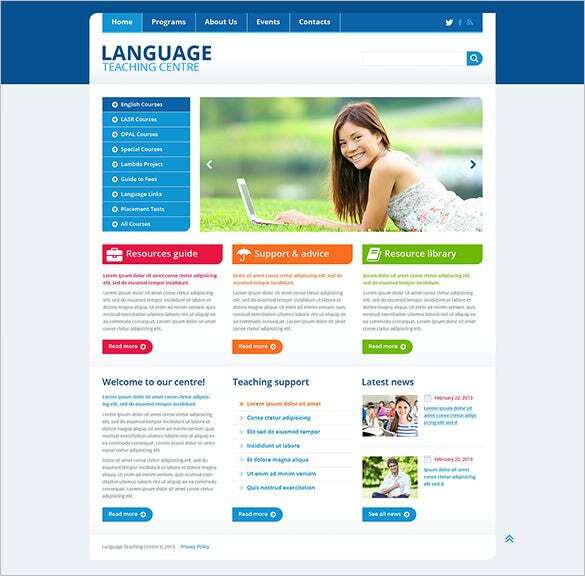 There are numerous ways that you can customize this page, including through the sidebars and color scheme. 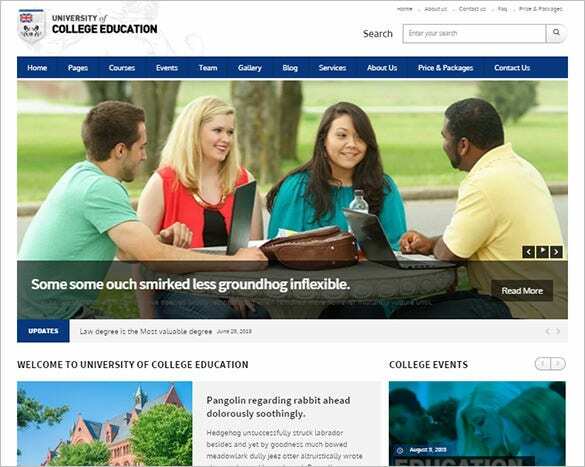 Any university would be happy to use this clean, yet elegant template. 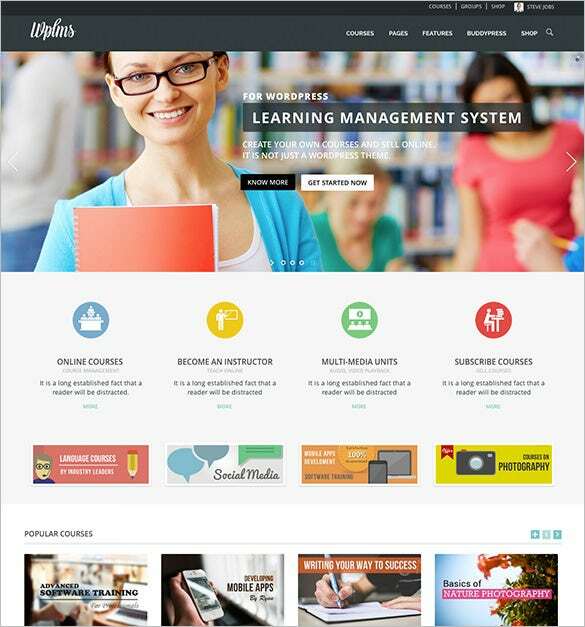 It is run by Cherry Framework and it is WPML ready, fully responsive and has a great admin panel. If you run an institute that has a kindergarten program, then this fun template is something that you should look at. It is fully responsive, easy to customize and simple to read and you can add any information that is required, including contact information. 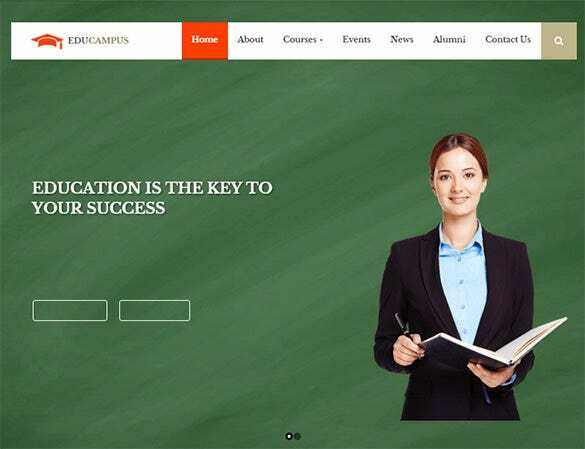 Browse the list of education bootstrap templates provided in this article. Download a template that you like. Upload it to your server. If you are using a CMS like WordPress, you can upload it via your Dashboard. Customize the template, add content, and then launch your site. 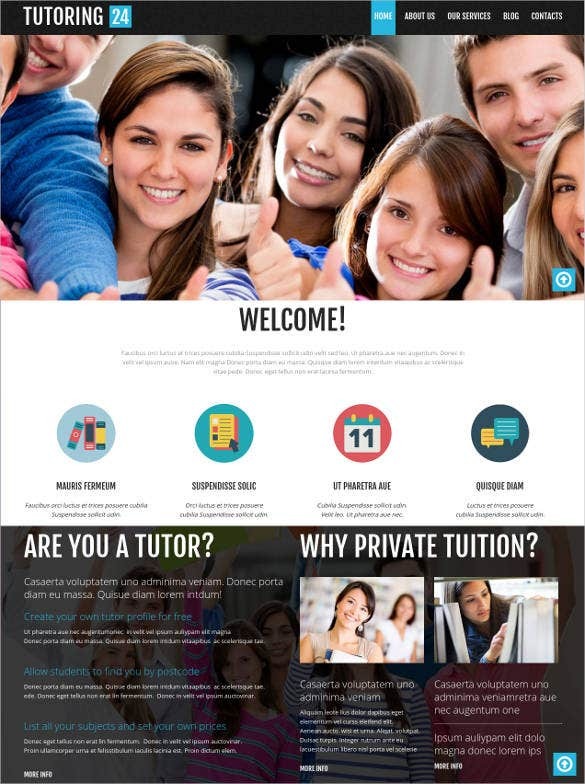 If you teach languages, then you should open your own website. This option uses Google maps and web fonts, it has a drop down menu and it is compatible with all of the browsers. 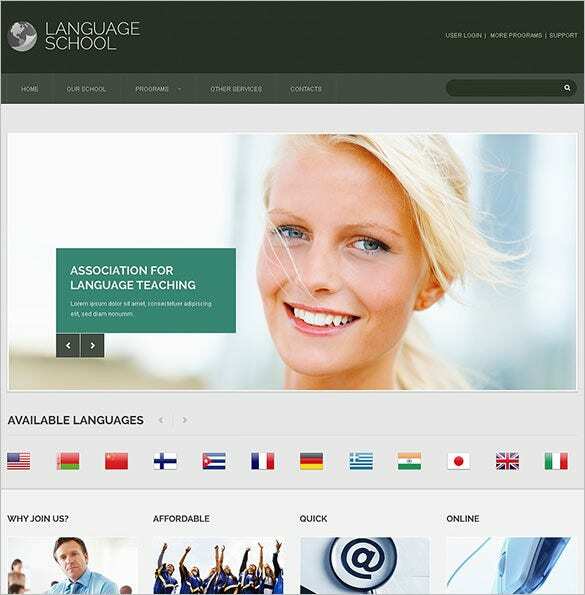 This is another great option for language institutes and it is fully responsive and has extra page layouts. It also has a drop down menu and it is compatible with all of the popular browsers. For business institutes, this simple design would work perfectly. 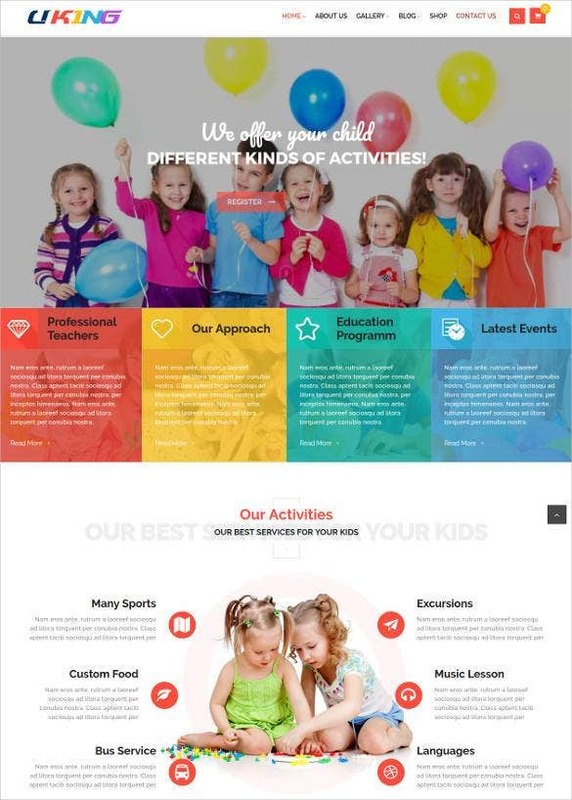 It uses HTML plus J5 for the animation and it is fully responsive with extra page layouts. It also is compatible with all of the browsers. 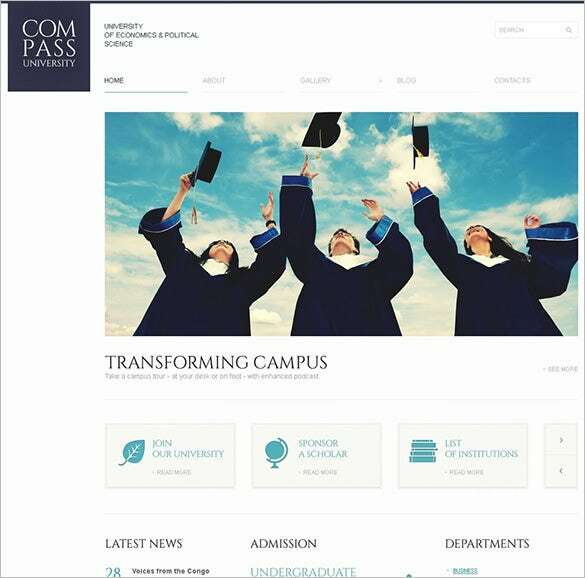 This option has course homepages and is easily customizable. 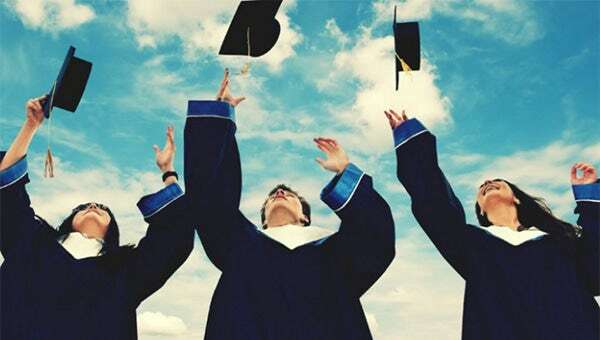 You can add various events on the calendar and it is perfect for a university or other educational institute. 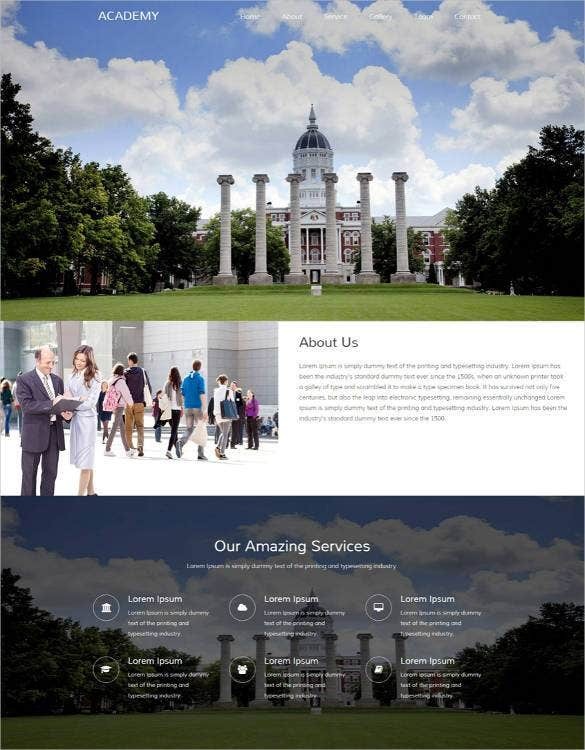 The design is clean, flat and completely responsive. This is another great option for all primary institutes, including those with preschool, kindergarten or day care options. It is run using Cherry Framework and have plenty of great features, including advanced theme options, calendar, drop down menu and more. 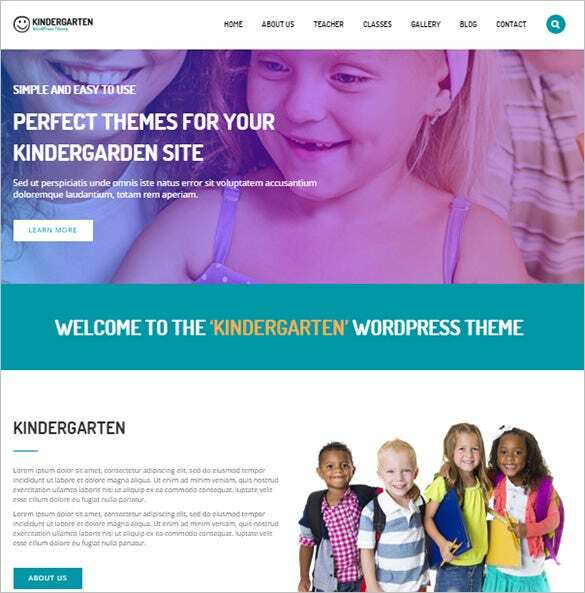 All of these themes have great documentation and use a variety of different coding languages, including CSS3 and HTML5. These are useful for any types of educational institute, no matter what age or level they teach.